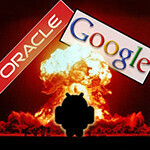 When we last took an in-depth look at Oracle v. Google, Oracle had just rested its case in the copyright phase of their Android lawsuits. Google has now had an equal time to respond, and today both sides made their closing arguments. With the jury filing out to consider their verdict, we can take a quick look at what’s transpired in the last 6 days. Oracle attempted to combat this with a rebuttal witness, Scott McNealy, who was on the board at the time. They attempted to downplay the roll of Schwartz’s blog (at one point McNealy cracked “don’t tell him, but I rarely read it”), although it’s not clear if the jury will believe that a CEO’s official post on the company’s website doesn’t demonstrate Sun’s intent at the time. Much like the first half, Google’s lead counsel Robert Van Nest seemed to have a better rapport with the jury, managing to not get lost in the jargon-heavy testimony and fair or not that often has an impact on whose witnesses the jury believes. All of the remaining witnesses were Google's, so naturally enough they said things that would benefit Google's case, though notably there weren't any real "ah hah" moments during cross-examination that would seem likely to sink Google's defense. Closing statements today were mostly just a recap of the last week, although Oracle did have to back off on its claim that each and every API could be considered on its own merit. The judge will not rule on whether APIs can in fact be copyright until after the jury verdict – the idea is that should a higher court overturn his ruling (whatever it may be) there would not need to be another trial, since the jury rendered a verdict without being prejudiced as to Judge Alsup’s interpretation of the law. For now it’s a waiting game; the jury will only deliberate for an hour today, so tomorrow is probably the earliest a verdict can be expected. After this, the case will move on to the greatly reduced patent claims, and then (if Oracle wins one or both sections) to the damages portion of the trial. Google has this in the bag....Apple is next.